My post today is more of an awareness post than anything. 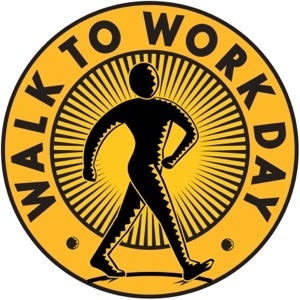 I was recently asked to promote Walk to Work Day which is taking place on Friday 14th November – so next week. The campaign is organised by Diabetes Australia and is to encourage employers and employees to incorporate some sort of exercise namely walking into their daily routine and to raise much needed funds for Diabetes Australia. The campaign also has an environmental side to it with the aim of reducing the number of cars on the road – thus reducing carbon emissions and increasing the use of public transport. All great stuff. Diabetes is a condition that I am keen to promote the prevention of as it’s pretty shocking if you get it especially type one. – If you can’t walk all the way, use public transport and get off the bus, train, tram or ferry a few stops earlier and walk the rest of the way to work. – If you need to drive, try to leave the car at least a kilometre from your destination and walk the rest of the way. – Take a half-hour walk at lunchtime. – Where possible use the stairs rather than escalators or the lift. – If you sit a lot at work, remember get up and walk around at least once every hour. Get up and talk to your colleagues instead of sending them emails. Anyway I hope you have enough to sign up and get involved. Since I work from a home office it’s hard for me to actually walk to work but I’ll be making sure I put in an extra lap or two around the lake near where I live! *taken from Diabetes Australia statistics. I live only a mile away from work. So yes, I walk to work and home everytime I need to work. And if I get an hour off for lunch, then I come home and spend it at home. It’s so handy. That’s great Matilda 🙂 I try and make sure I get out each day working at home otherwise I get cabin fever!